The Dutch Master's Selection Guide (Keuzegids Masters 2017) ranked this programme as the best in the field of Chemistry in the Netherlands. The Master’s in Drug Innovation programme focuses on diagnostics and the improvement and management of small molecule and biomolecular drugs. Drug innovation covers many topics such as the development of new vaccines and the study of antibodies, gene therapeutics, and medical nutrition. Once developed, a new drug then needs to go through approval, which raises a whole new set of challenges, for example the establishment of new methods and criteria for evaluating the quality, efficacy, safety, and performance of the drug. This broad, interdisciplinary programme is open to graduates from a wide range of disciplines such as chemistry, biology, pharmaceutical sciences, biomedical sciences, or medicine. Our programme offers a diverse suite of elective courses. This means you can concentrate on the topics of most interest to you. 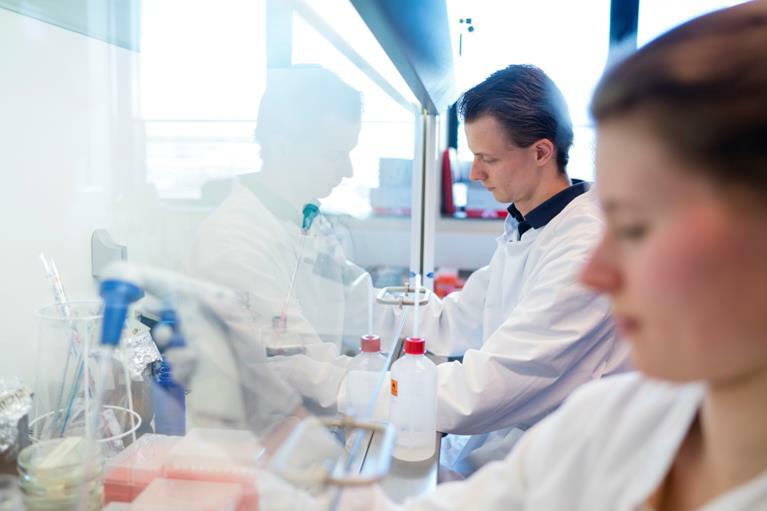 You will also take an internship with one of the research teams working on drug innovation at Utrecht University. This work may lead to publication in scientific journals within the field or new drug patents or protocols. Graduates of this programme may go on to undertake research in drug innovation at universities, in the pharmaceutical or and biotechnology industry or to work in science or healthcare. Drug innovation is an interdisciplinary field, which pulls together expertise from chemical, biological and medical sciences. This interdisciplinarity is central to the search for new solutions to currently incurable diseases. You will contribute to this field by undertaking two internships over a total of 15 months and submitting a writing assignment. After graduation, you will have the skills needed to translate a drug-related problem into a relevant research question and will also be able to design and perform the research needed to solve this question. Finally, you will also be able to critically reflect on your own research and report on it, both verbally and in writing. These skills are highly transferable and will enable you to work independently within a competitive labour market. Visit the Drug Innovation - MSc page on the Utrecht University website for more details!